"20 Liebes Gedichte und ein Lied der Verzweiflung" ("20 Poemas de amor y una canción desesperada") im Jahr 1923. Sie erschienen erstmals 1924. Copyright by Fundación Pablo Neruda. A classic, and therefore: it should not miss in your library. In this particular translation, I found it better in spanish (my opinion not a fact), I am not saying is not a good translation. 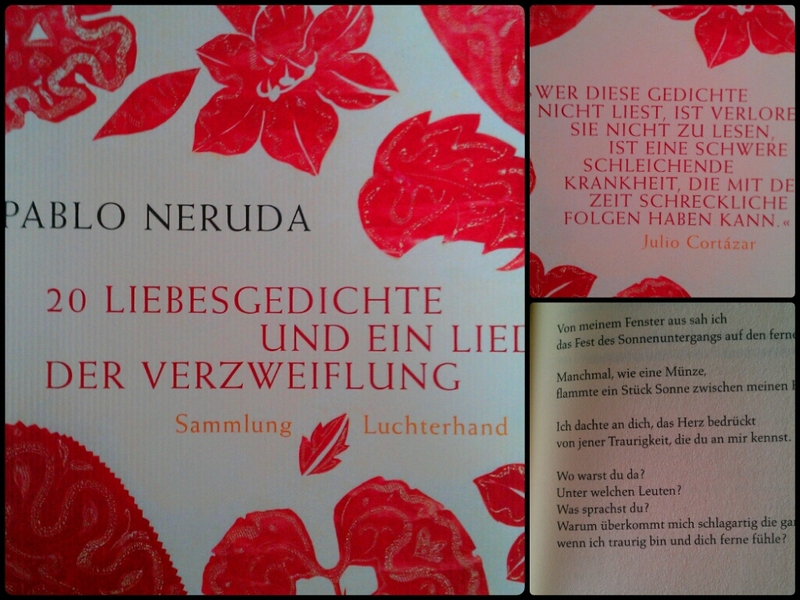 Despite of that detail, I think is a good start for german readers to step into Neruda.